Meghan Markle and Prince Harry leaving St George's Chapel at Windsor Castle after their wedding. Just a few days after the latest Royal Wedding, Kensington Palace has confirmed that Meghan Markle, Duchess of Sussex and wife to Prince Harry, is pregnant with the couple's first child. The palace made the announcement early Monday on social media. The news comes just days after the wedding of Princess Eugenie of York to Jack Brooksbank. 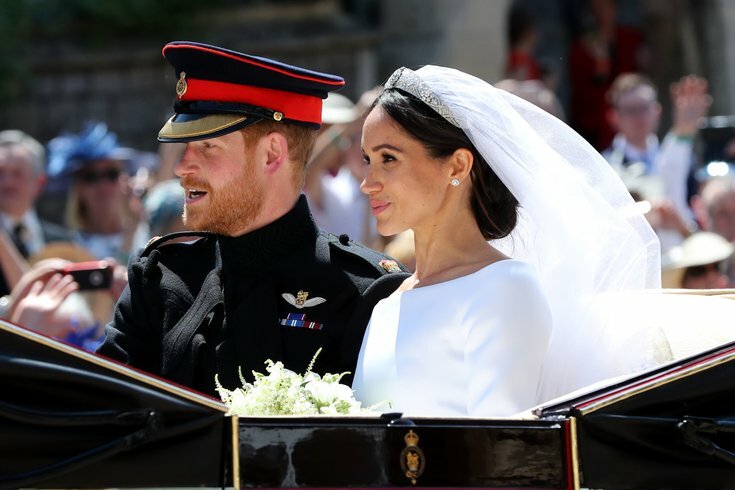 During the ceremony, Markle was seen wearing a navy coat that led many amateur detectives to hypothesize that Markle was covering up a baby bump. The new baby would be seventh in the line of succession to the British throne, bumping Prince Andrew, Duke of York, down to 8th place. Unless there's a change of protocol issued by Queen Elizabeth, the baby will not have the title of prince or princess but instead will be either the Earl of Dumbarton, if a boy, or Lady [first name] Mountbatten-Windsor, if a girl. It took about five minutes after the couple said "I do" for people to begin wagering on when they would announce their first pregnancy. Now that the news has been confirmed, even if for just a few hours, there are already bets on what the name will be. Right now one fan favorite, in honor of Harry's late mother, is Diana. Meghan Markle is pregnant! What will the #RoyalBaby be called? Ladbrokes, a UK-based gambling company, shared other favored names for a girl, including Victoria, Alice and Mary. Some top boy names include Albert, Arthur, Philip Frederick and James. The baby is due Spring 2019, about a year after the couple's May 2018 nuptials.